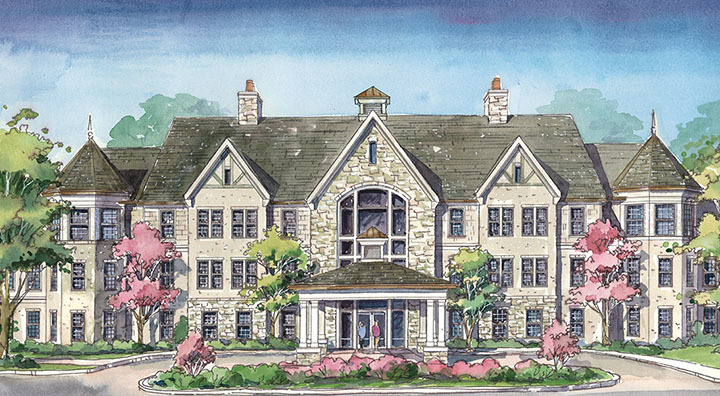 Mount Laurel, NJ / January 21, 2019 — Brandywine Living announced today the expansion of its luxury brand senior living platform into Potomac, Maryland. Brandywine Living at Potomac will become Brandywine’s 30th senior living community and its second in the Washington, D.C. metro area. The first D.C. metro location, Brandywine Living at Alexandria, opened in March 2018. Brandywine Living is a market leader in luxury senior living, including assisted living, memory care and independent living. Founded in 1996, the addition of the Potomac location expands the Brandywine portfolio to 30 communities in seven states (PA, NJ, NY, CT, DE, VA & MD) with the capacity to serve over 3,000 residents.